Fables of courses in basket weaving and theories of Beyonce abound when students are applying for the CAO. It would be difficult to find a student who hadn’t heard of some of the bizarre, fabled courses that constitute the academic community’s most popular urban myths. From basket weaving on the Aran Islands to the mysterious, Illuminati-themed “Kanye West studies” in Dublin City University (DCU), there is no shortage of fantastical stories to pique the curiosities of the gullible student. Stories of these “legendary” courses have been on the go, seemingly, for decades, with rumours doing the rounds in classrooms and lecture halls all over the country about spurious courses taking pride of place on unwitting students’ CAO forms. 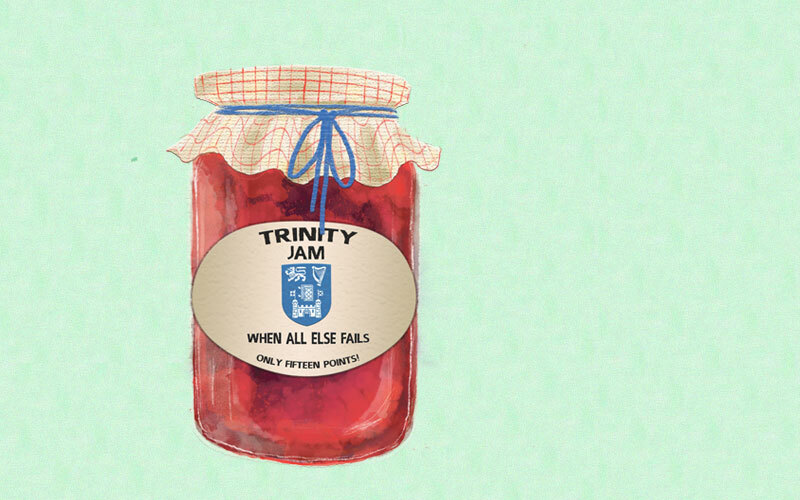 Like all rumours, they vary in content: some say, for example, that a spectral jam-making course literally teaches students how to make fruit-based spreads, while others are certain it focuses on the construction of door jambs. There is one thing, however, that unites these eccentric stories: they’re exactly that, stories. While numerous Reddit threads would beg to differ, and we’ve all met someone who swears “Theories of Beyonce” took the 10th spot on their CAO, all physical evidence concurs that such zany college offerings are mere flights of fancy. Fun, but by no means true. Surely, though, there is some reason for the lingering presence of these myths? True or not, students clearly find these tales compelling, repeating them to each other from year to year, incorporating them into their shared mythology. Something must contribute to their firm grip on students’ sense of humour. Indeed, you need only glance at the headlines in national newspapers around leaving certificate results day to see the levels of fear and uncertainty that surround the process of entry to college. The Irish Times, for example, offers a bespoke helpline to aid students who are unsure of their options. National radio, meanwhile, periodically witnesses an influx of phone-ins from distressed students, confused about what the future holds. Add to this the significant number of first-year students who switch courses within the first few weeks of college, and it becomes clear that stress is part and parcel of the process of starting college. Students switch courses for a variety of reasons, but as Transition to Trinity Officer Eimear Rouine explains, uncertainty is a common factor. “Typically two of the big reasons are that they chose the wrong course initially or because the course did not match their expectations”, she says, in an email statement to The University Times. Many students have not thoroughly researched the course content, and Rouine offers the hypothetical example of “a student who dreams of being a barrister and arguing cases for a living, but wasn’t expecting the huge amounts of desk research that go into studying law”. If indecision can persist even into the first weeks of college, it makes sense that invented, and hyperbolic course ideas could pick up steam – especially providing, as they do, the kind of reassuring narrative that is sorely lacking in reality. Many stories of imaginary courses describe how few points are required for their entry – jam making is supposedly as low as 15 points, while the rural basket-making specialisation can be studied for as few as 11. In the points race that consumes the entirety of students’ final year of second-level education, it’s a common occurrence to hear exclamations of “well, at least I’ll get enough for jam-making”, often accompanied by a wry smile and an eye roll. It’s perhaps no surprise that students are willing to invest in such comforting myths, especially as levels of student pressure are at what seems like an all-time high. Even beyond the much-discussed stress of the dreaded leaving certificate, college offers no shortage of challenging times, and it’s hard to deny the impact this can have on students. In 2017, visits to emergency counselling services in Trinity alone numbered over 500, while over 200 students have listed the counselling service as a reason they remain enrolled in Trinity. It’s been said that we tell ourselves the stories we need to hear. Perhaps these wild, invented courses simply speak to students’ longing to engage with a simpler form of academia – one where the complex issues of university life are replaced with a secluded tutelage in making baskets. Still, it’s hard not to question whether the likes of jam-making or fly-fishing could genuinely make a solid basis for a degree. This may sound unrealistic, but stranger things have happened. Georgetown University famously offers a course in the philosophy of Star Trek, while a variety of institutions throughout Ireland provide academic qualifications in fly-fishing.